Methinks Wendy of Bushwick should make the acquaintance of Bruce over in Bed-Stuy. 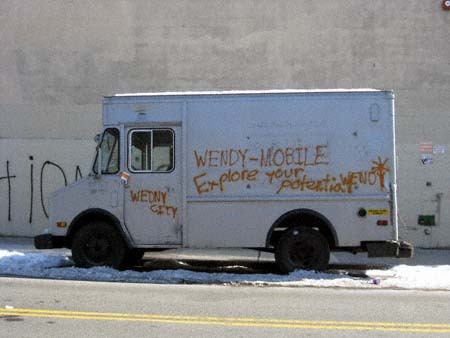 i dunno if his name is Wendy, but i’ve seen a guy sleeping in that truck with some frequency. it’s like a Winnebago! Seems to me like Wendy has nothin’ but potential!